We will lobby for more houses to be built, especially affordable housing. We will put more resources into improving standards to ensure private rented housing is good quality. We campaign against the cuts and will provide better support for those struggling with housing costs, including those hit by the Bedroom Tax. The Highways PFI will spend £2 billion of taxpayers’ money. We will make sure residents are properly informed and consulted about changes to our streets and get good value for money. We do not think Council services should be run for a profit. We will hold private service providers to account and bring many Council services back in-house when possible. We will work to make bus services subject to more public control and lobby for railways to be returned to public ownership. We will listen and help local people get their voices heard. We will stand up for local residents on traffic, parking, crime, planning and licensing. We will provide information to help people influence how services are provided. We oppose government cuts and will hold a referendum on whether to increase Council Tax by a small amount to save libraries and protect services for older, disabled and vulnerable adults. We will invest in good-quality jobs and services, including opportunities for young people. We took the lead on promoting the Living Wage in Sheffield and will continue to push for better wages and conditions across the city. We will favour local shops and businesses because they keep money local and create more jobs. We will invest in green energy and better insulation to help keep down fuel bills. We will oppose shale gas fracking in Sheffield and surrounding areas because it is expensive and causes environmental damage. We will lobby for more public control of energy companies. Or contact: Eamonn Ward, 73 Eskdale Rd, Sheffield, S6 1SL. Or phone: 0114 231 1548. 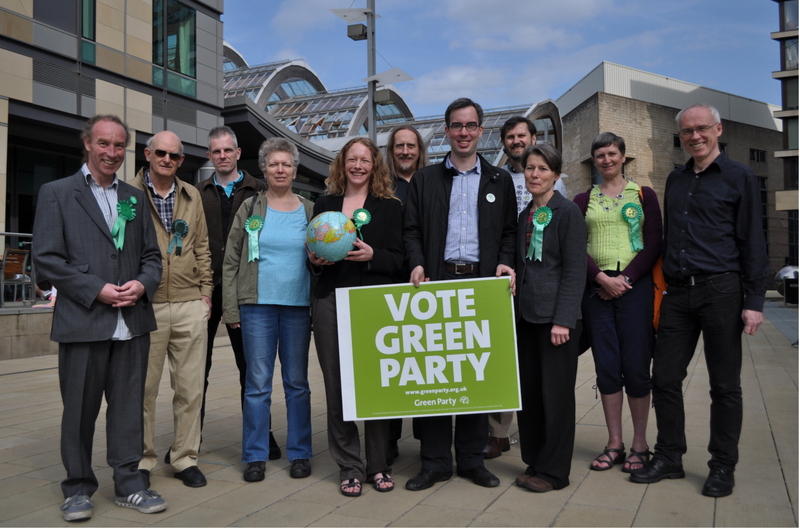 Published and promoted by: E Ward, 73 Eskdale Rd, Sheffield, S6 1SL on behalf of Sheffield Green Party.